IAM RoadSmart has partnered with HealthcarePlan to offer fleet drivers reduced-rate glasses and eye care. Under the partnership, HealthcarePlan will offer a 10% discount on its Driver EyecarePlan packages to business drivers whose employers use IAM RoadSmart products. Drivers are provided with vouchers which can be redeemed against a range of eye care products – including a full eyesight test, optical correction prescription and a complete set of glasses. All EyecarePlans can be delivered to the employee by email or text message and the employee can choose to visit either one of 640 Boots Opticians or any of 640 HealthcarePlan affiliated independent practices. HealthcarePlan will also make a £2 per driver donation to the charitable work of IAM RoadSmart. Lyn Hodges, director of strategic planning at HeathcarePlan, added: “The facts are that 64 people were killed in Britain last year by drivers on the road with defective or uncorrected eyesight. 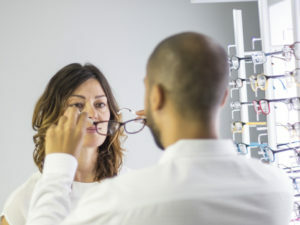 Of the 2,300 people who need glasses or contact lenses, a survey found a quarter drove without them, increasing their chances of an accident four-fold.